The man is not cow-girl’s father but her uncle. 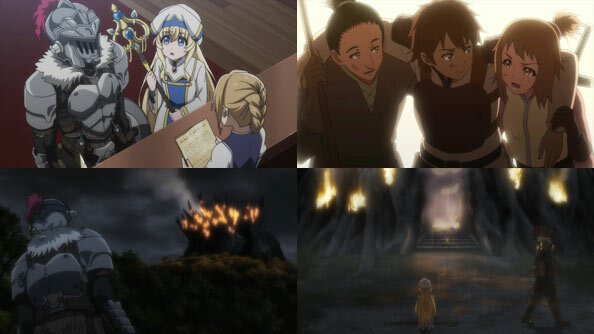 Her parents died when the goblins attacked the town (where the boy lived) in her absence. The attack was so bad that during the funeral service, there was no bodies in the coffin, indicating that the bodies were eaten up. Not that it makes much different, but the farmer is Cow Girl’s uncle. 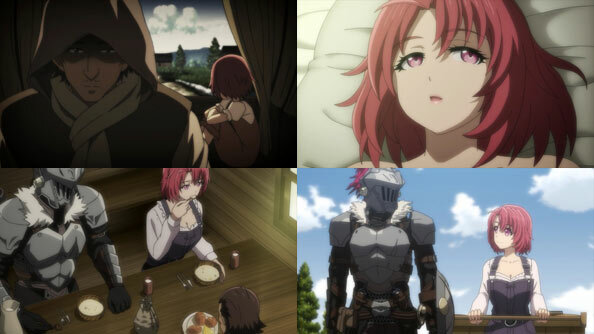 Like Goblin Slayer, Cow Girl is an orphan, but unlike him, she’s spared most of the horror of their hometown. That certainly explains why she seems so much better-adjusted in adulthood than GS. Their hometown was attacked when GS was about 10. For 5 years, she knew he survived but not his whereabout. And then 5 years later, he shows up a completely changed man. He spend that time under the apprenticeship of Bilbo Baggins of this world (a halfling that’s just call Burglar, complete with a magic ring that makes him invisible). Burglar was, let’s say rather harsh in his teaching. He didn’t want the important task of Goblin Genocide entrusted with someone that’s just going to get kill on their first outing. 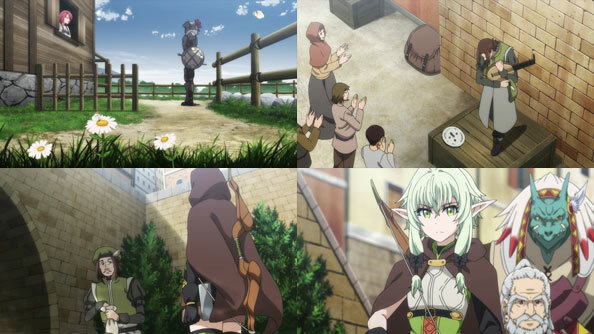 Goblin Slayer’s early adventures are described in Year One manga. We’re currently at about the 5th years of his campaign, and he reached his Silver status by being the specialist (the ranking are determined by the guild for their ability to handle tougher quests, and there is an auditor that does the determination).